1957 – Southern Christian Leadership Conference founded. Baseball great Willie Lee McCovey born in Mobile, Alabama on this date in 1938. He was called “the scariest hitter in baseball” by Hall of Fame pitcher Bob Gibson. 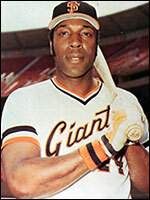 McCovey joined the San Francisco Giants in 1953 and was named Rookie of the Year in 1959. He led the league in home runs three times and finished with 521 homers for his career. He played for the San Francisco Giants for 14 and the before moving on to the San Diego Padres and then the Oakland Athletics. He returned to the Giants and retired with them in 1980. He was elected to the Baseball Hall of Fame in 1986. 1966 – Julian Bond Denied Seat. Julian Bond, communications director of the Student Nonviolent Coordinating Committee, was elected to the Georgia House of Representatives in 1965 but was denied his seat by state representatives. 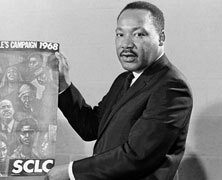 By a vote of 184-12 they refused to seat him because of his support for the SNCC policy opposing the Vietnam war and his support of people who were “unwilling to respond to a military draft.” He took the matter all the way to the United States Supreme Court (Bond v. Floyd – 385 U.S. 116), which in 1966 found by a vote of 9-0 that he had been denied his freedom of speech and the Georgia House of Representatives was required to seat him.